Tuesdays, 9-11 am in the Fellowship Center • Our goal for Heart to Heart is to encourage growth in your personal relationship with the Lord Jesus Christ, to equip you for service and to foster an atmosphere where Christ-centered friendships bloom. For spring, we’re studying “The Girl’s Still Got It” by Liz Curtis Higgs. Books are available in the church office or at Heart to Heart on Tuesday. Thursdays, 9:30-11 am in Geneva Hall • Enjoy hot coffee and snacks in a casual atmosphere. It’s honest, friendly and open. There is a full, high-quality Christian children’s program and infant care. 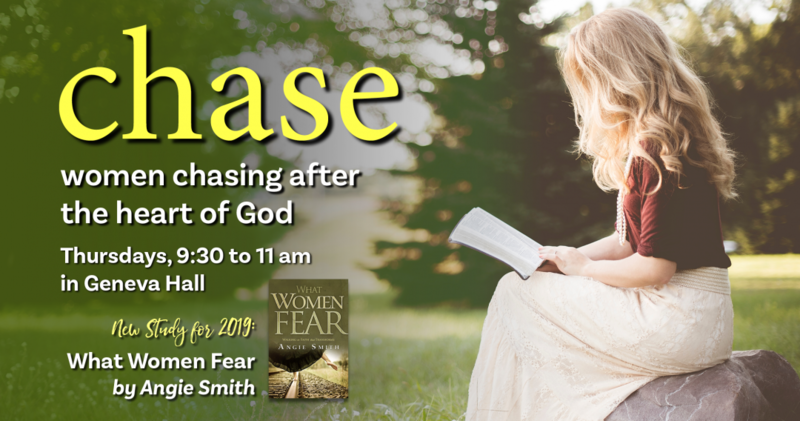 This year we’re studying Angie Smith’s “What Women Fear.” Book are available in the church office or at Chase. 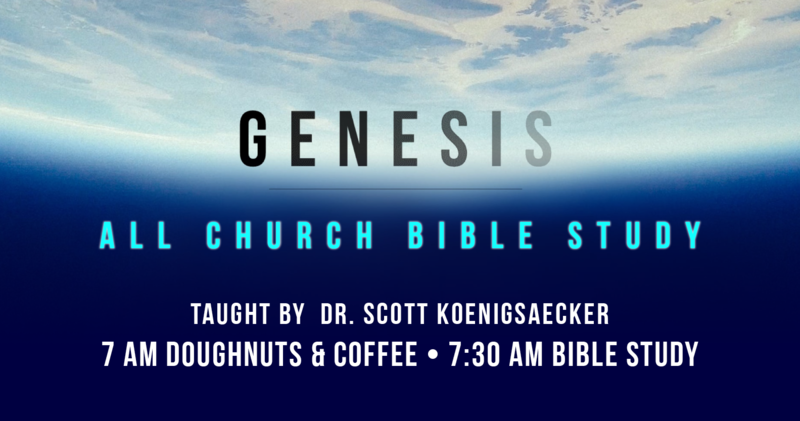 Tuesdays, 7 am in Geneva Hall • New verse-by-verse study on Genesis, taught by Dr. Scott Koenigsaecker. Come at 7 am for the donuts and fellowship; study starts at 7:30 am. Our Men’s Ministry exists to to glorify God by equipping and encouraging men to continue to grow in loving knowledge of our Lord Jesus Christ. Our objective is to teach men how to apply biblical principles to all aspects of their lives, and to prepare and enable men to be Godly leaders in their homes, churches, and communities. 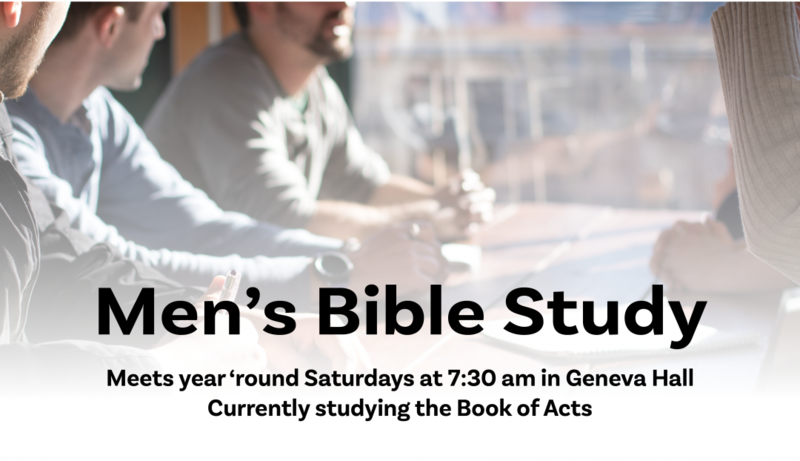 Men’s Bible Study – Saturdays, 7:30 am in Geneva Hall (year round). Currently studying The Book of Hebrews. Men’s Discussion Group – Wednesdays, 8 am at Old Mill Cafe in Carlsborg, facilitated by Dave Neidhardt.